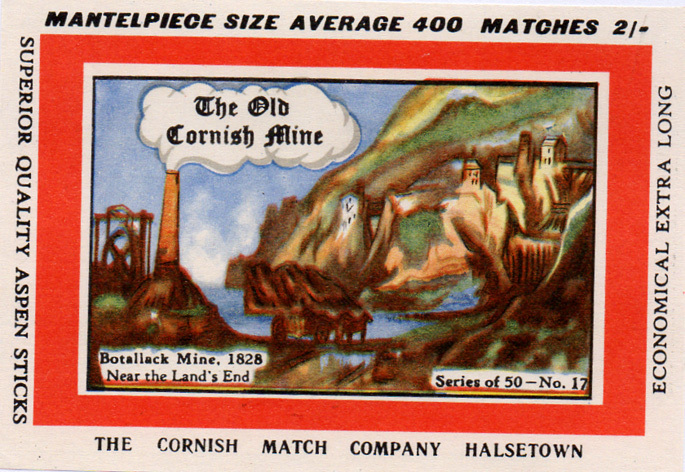 Situated at St.Just, it is really a group of very ancient mines including Wheal Cook (pre 1836) and Carnyorth (pre 1815). 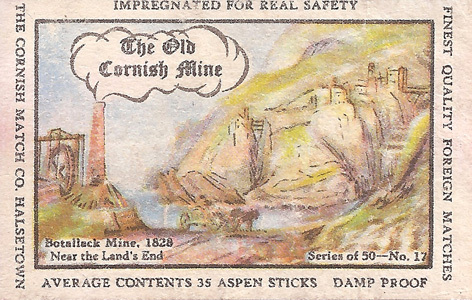 Some parts of the mine run far out under the sea. 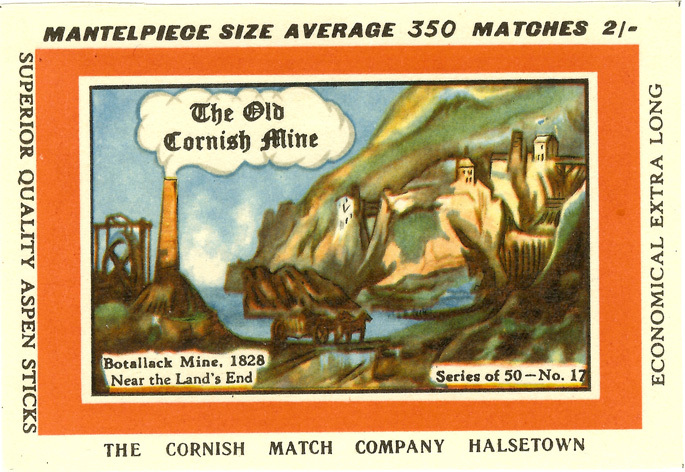 The engine house and headgears perched on the cliff edge were said to be one of the Wonders of the World and their ruins still excite great interest. 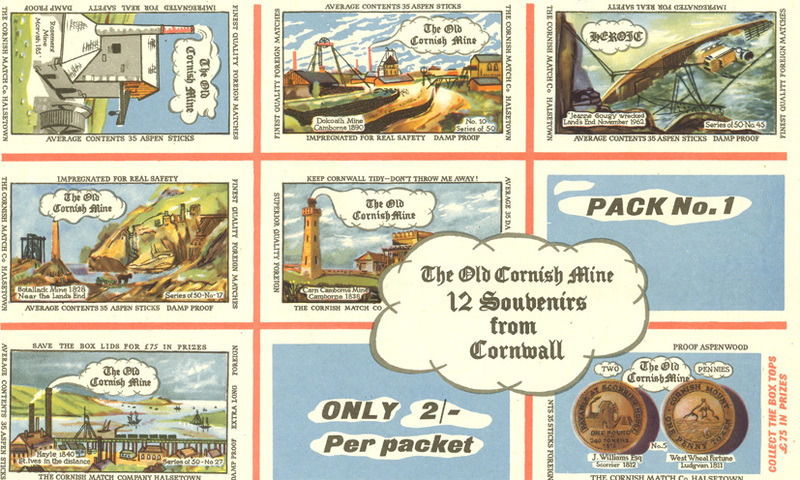 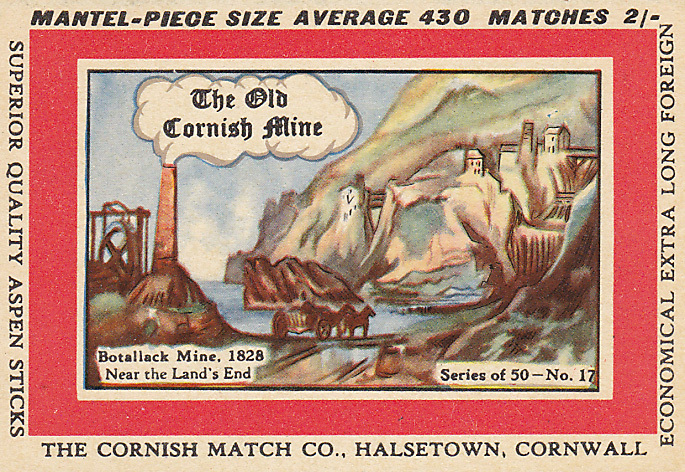 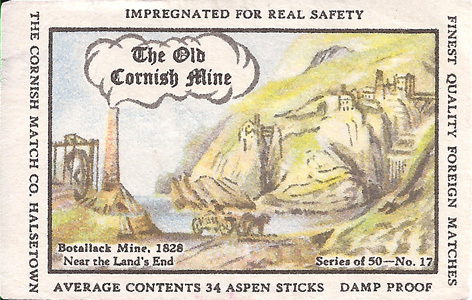 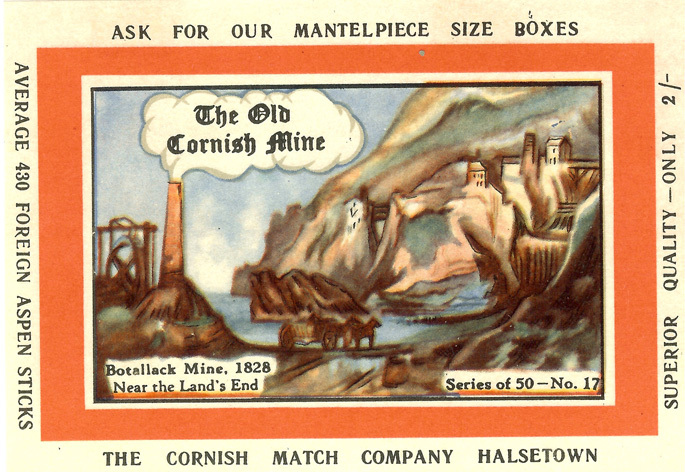 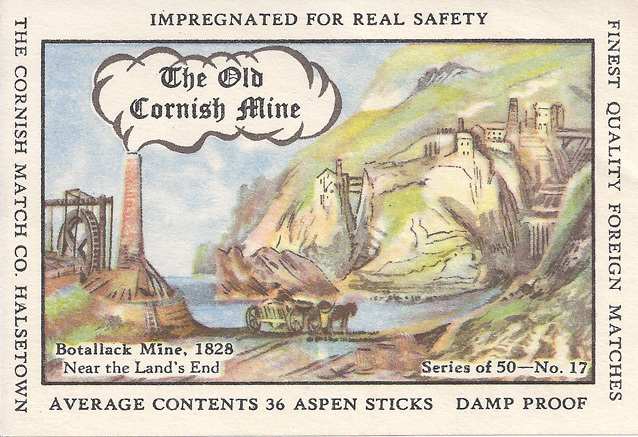 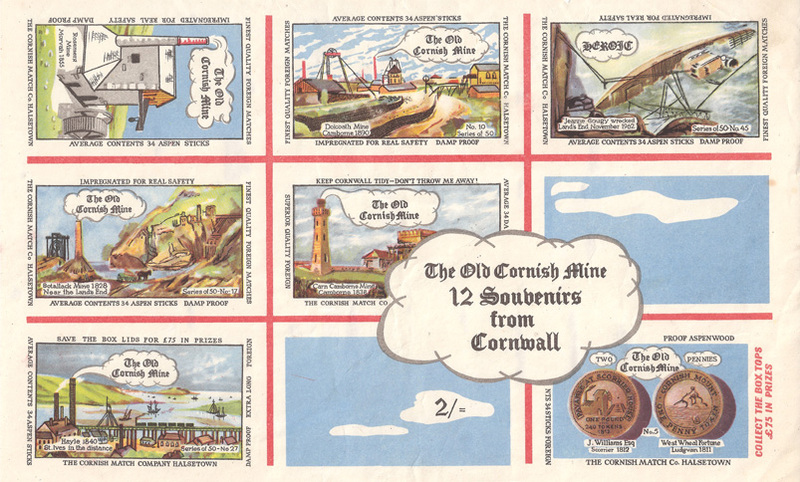 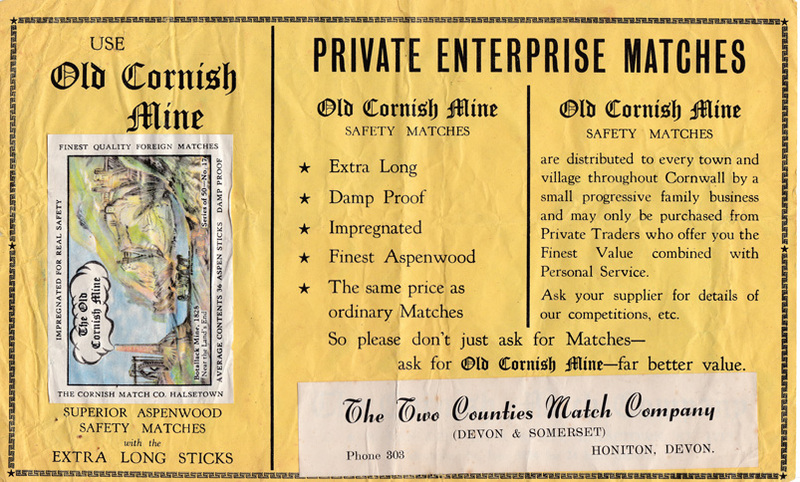 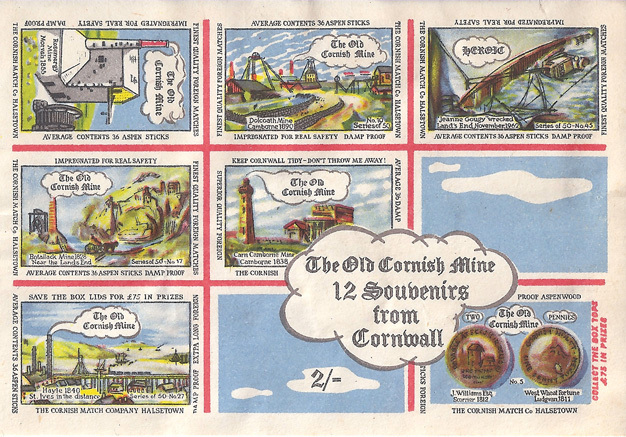 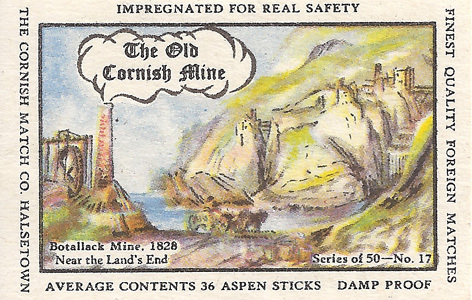 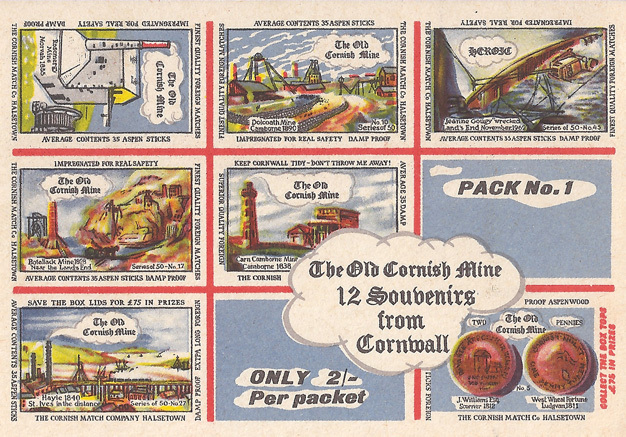 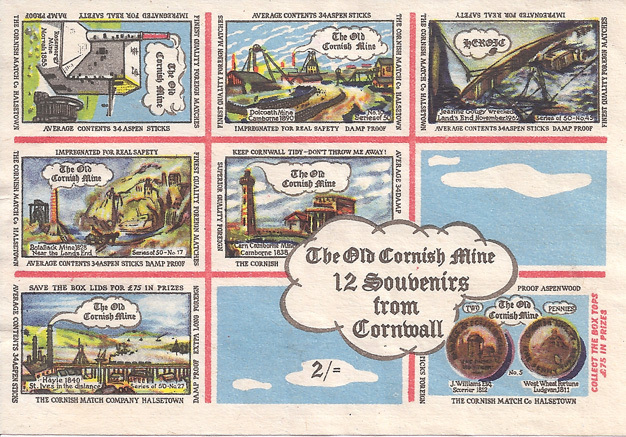 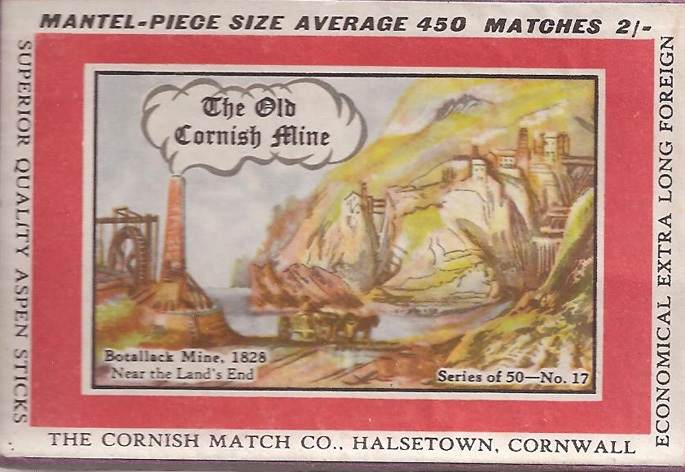 The illustration appeared on 9 individual and 6 souvenir labels and was first issued in June 1963. 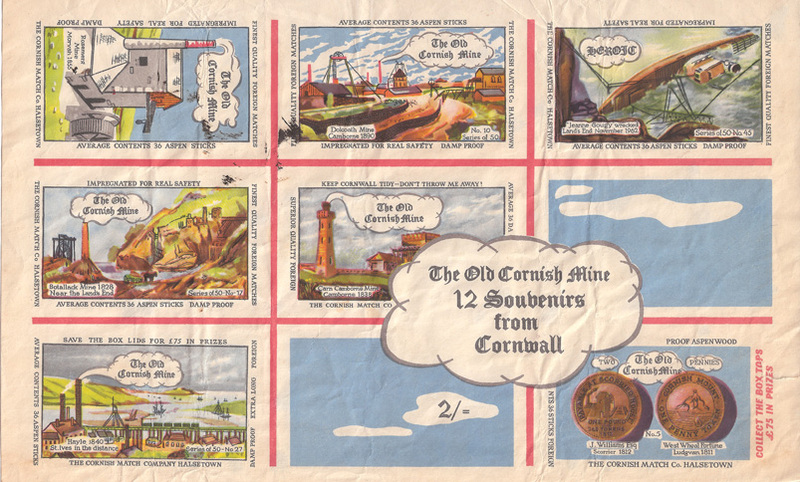 The design was taken from an 1832 print by John Maggs, a Falmouth antique dealer.